The Mixed Nuts camper is one of two top of the line custom toy haulers. It is designed for up to four people to camp comfortably at a campground or in the outback. 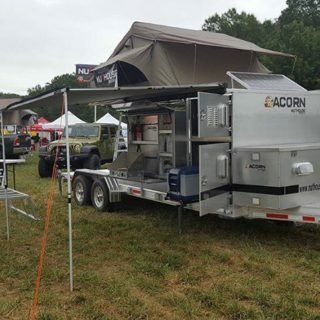 The Mixed Nuts and our other expedition trailers are constructed of 100% aluminum for lighter weight and a lifetime of service. 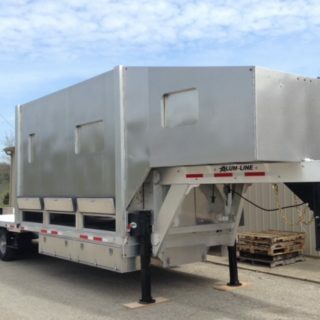 The Mixed Nuts unit is an all-aluminum construction Gooseneck trailer with a separate 14’ living quarters unit attached to the nose of the trailer. The living quarters offers 176 square feet of comfortable living. 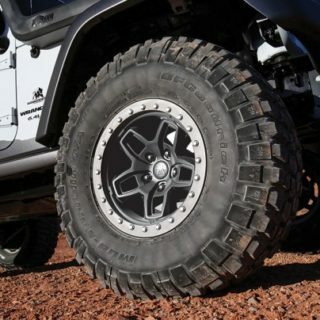 The deck of the expedition trailer offers open hauling for the largest off road vehicles. The trailer can be equipped with ramps, a dovetail or even a tilting hydraulic deck to make loading your vehicle a breeze. 12 Volt DC Power System – Multiple deep cycle batteries with an onboard charging system. This system keeps all of the onboard items that require 12 volts up and running strong. Fresh Water System – Tell us how many gallons you need. Solar Charging System – Multiple solar panels and regulator system to charge the 12 volt batteries. This keeps the unit going for extended periods of time in the outback when no electric is available. 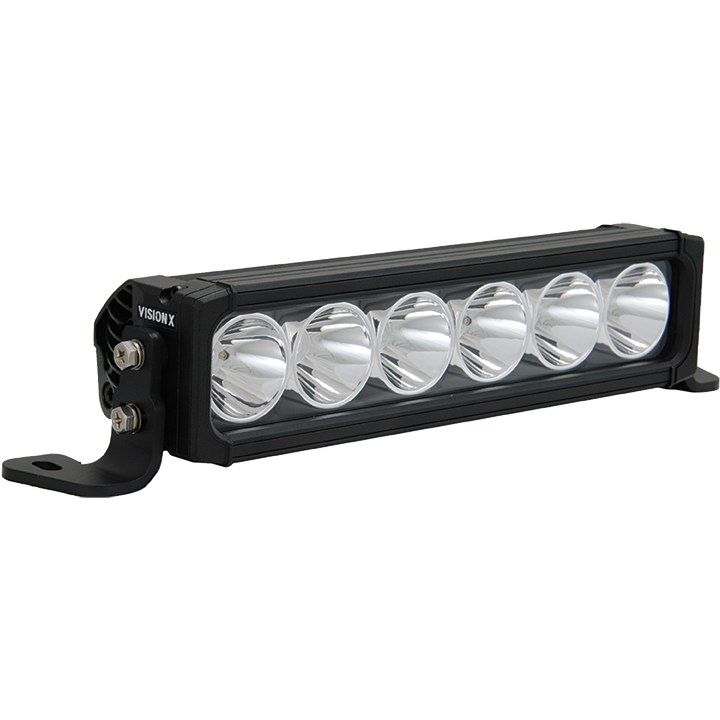 LED Lighting – 12 volt LED lighting throughout the trailer to light up the unit after dark. Outdoor Cooking Module – A Partner propane stove in a side mounted aluminum box with a propane tank connection. Cook dinner quick and easy outside on this high quality stainless steel stove. Your Custom Requirements – Just ask and we will do our best to make your mixed nuts trailer the perfect expedition trailer / camper for you. 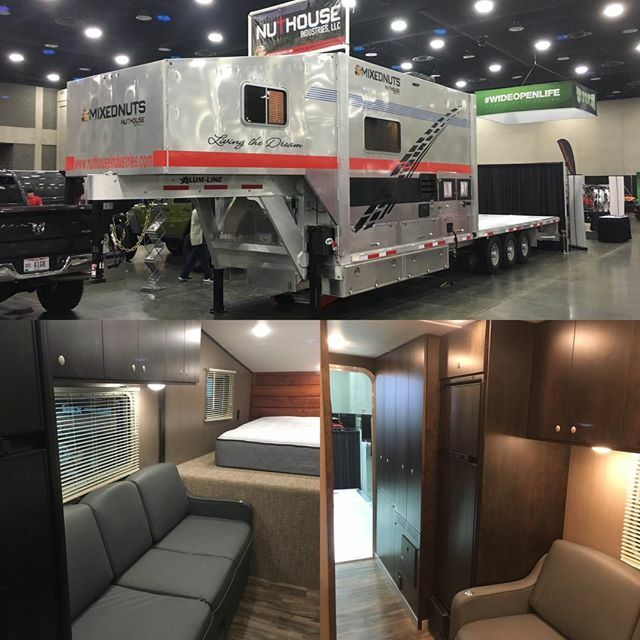 Contact Nuthouse Industries at 513-899-2342 to schedule an appointment to design your very own Mixed Nuts trailer. We think you will find it is one of the best built and best equipped toy haulers on the market today.